Ah, the dreaded paper chase. Assign each paperwork type its own unique color. Paperwork. Yes, the race is on at home, too. But you can win the marathon if you're armed with the latest paper-training techniques. As a general rule, get a jump on the paper chase by beginning new folders each year and archiving the past year's folders. Here's how to organize paperwork at home so you can find what you need when you need it. You'll need to create a separate file system or area for each. It can be as simple as assigning each paperwork type its own unique file folder color. Household papers cheat sheet. This sheet can be on the computer or in a file. It's a guide to the household paperwork can be found. Car maintenance records. Use this to hold permits, 20,000 mile service receipts, etc. Home maintenance records. With these records, you'll know the last time you serviced the air conditioner or had the heating vents vacuumed. Home repairs file. This includes the names and numbers of repair people, contractors, window washers, etc. Owner's manuals. This file includes directions and receipts for everything in your home, from the coffeemaker to the washing machine. Your family files should contain all of the following categories. 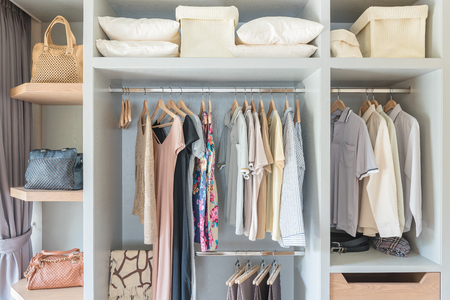 Organize your must-haves in a way that makes them easy for you to grab when you're trying to, say, reconcile your daughter's orthodontic bills with the insurance coverage statements. Babysitter file. Here's the place to keep notes and numbers on your favorite sitters, who's in high school, who's in college, their driver's license numbers if they're driving your kids anywhere, an other pertinent information. Correspondence. Your cards and letters go here. House sitter/petsitter file. Store recent bills, brochures, recommendations by friends, etc. here. Medical and dental records. File these by family member. Pet records. File these by pet, naturally.